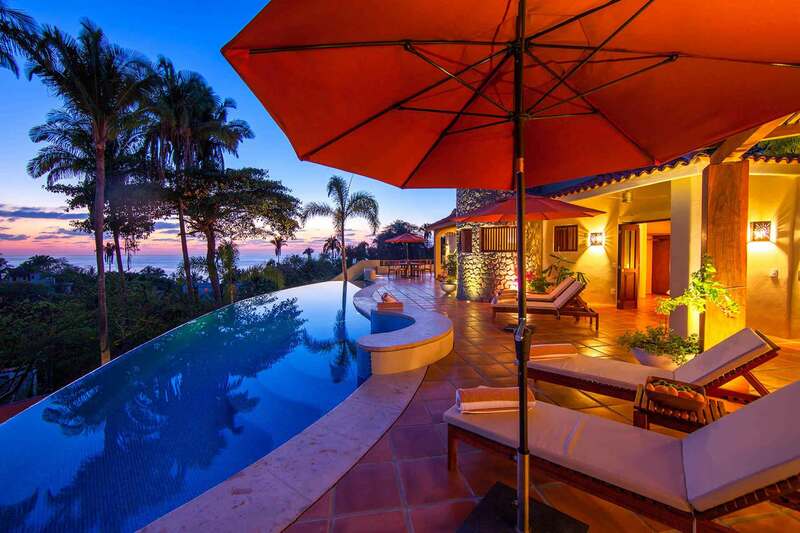 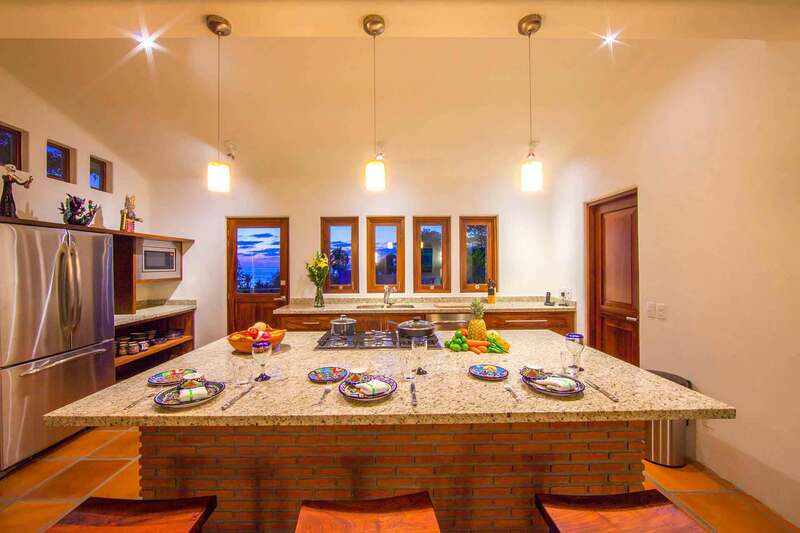 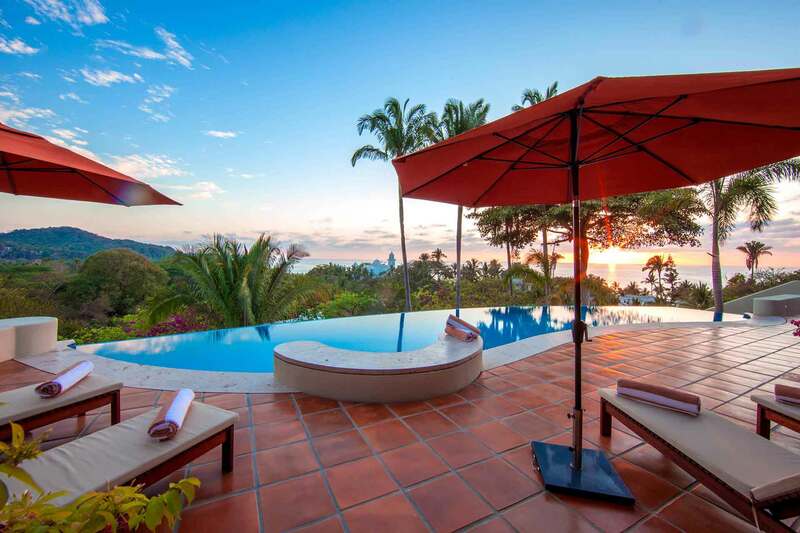 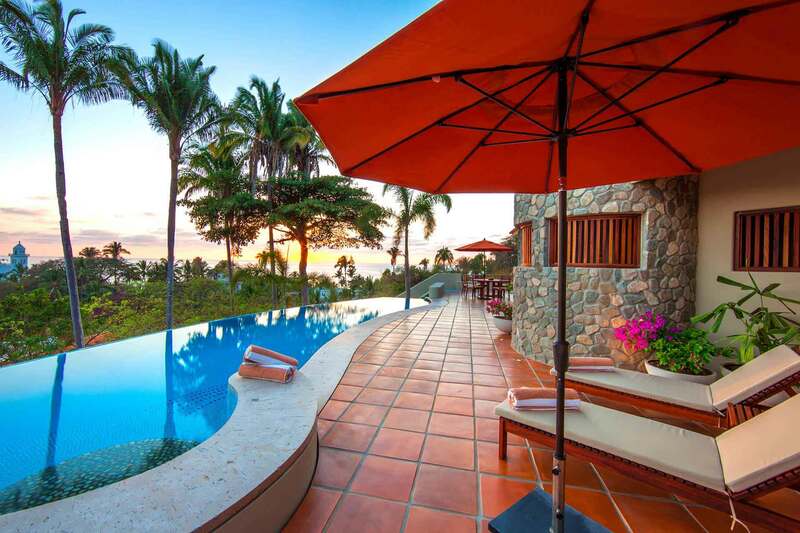 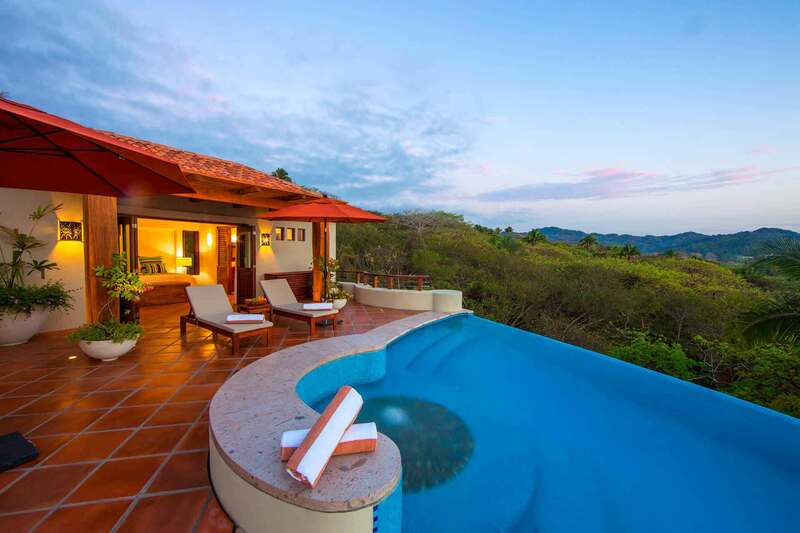 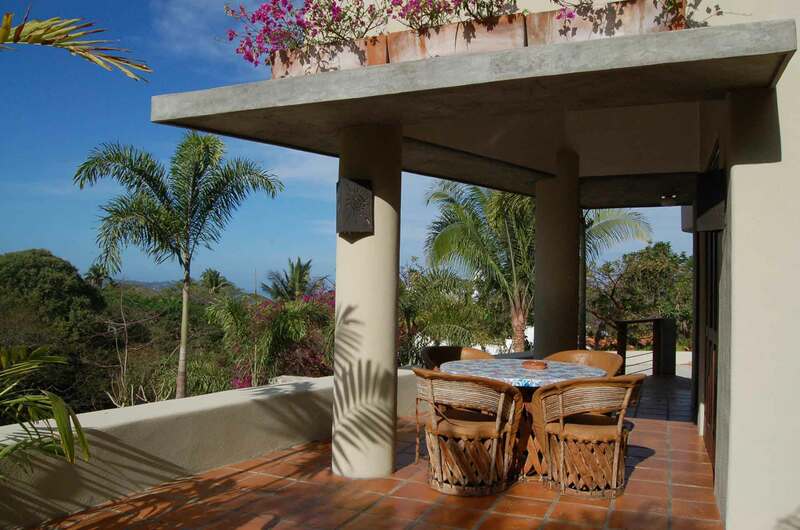 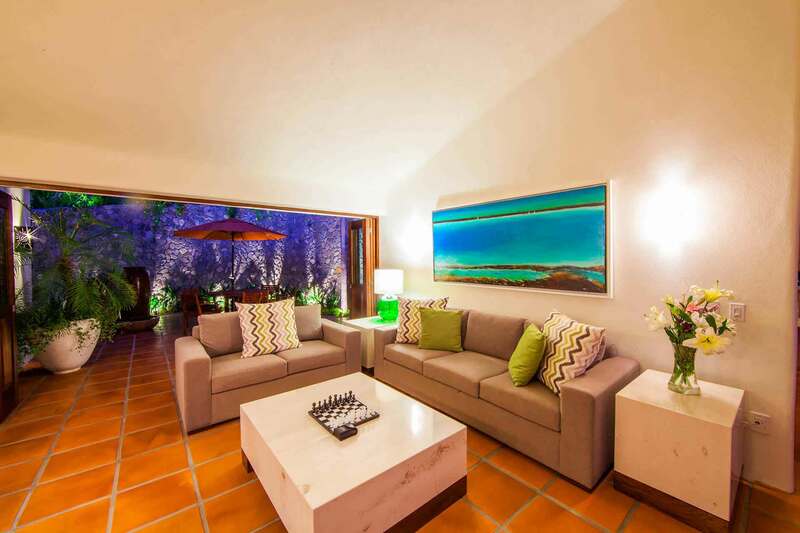 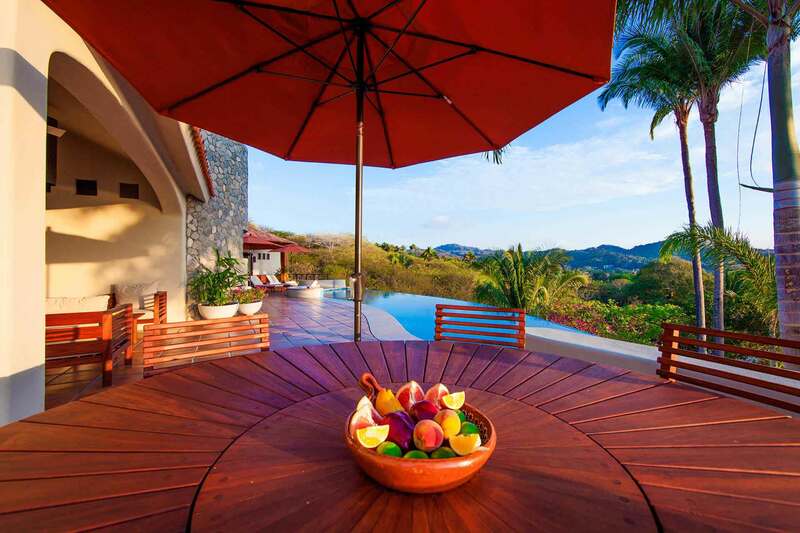 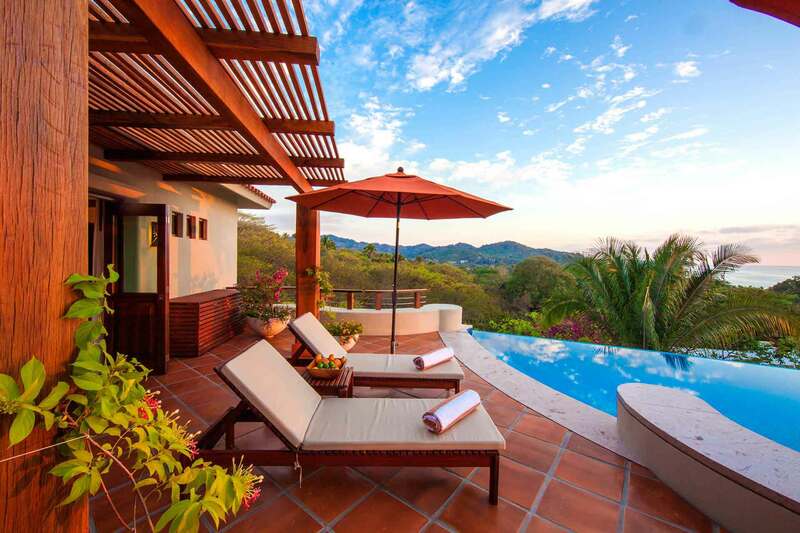 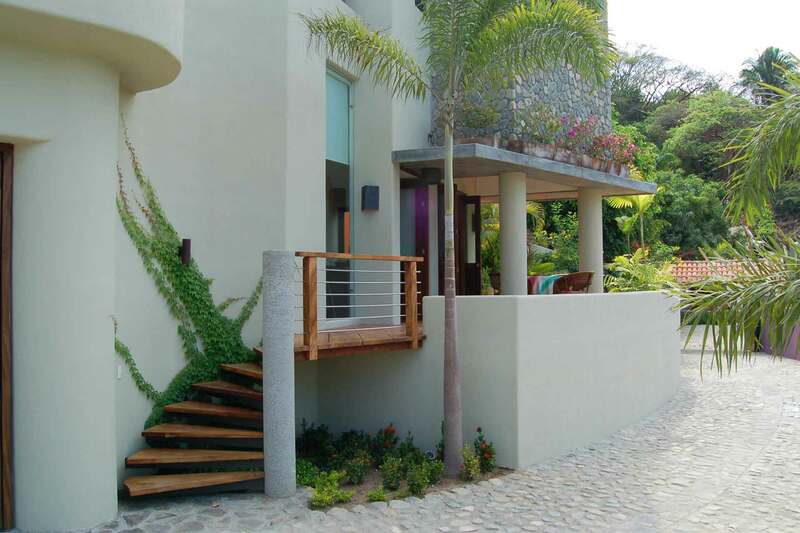 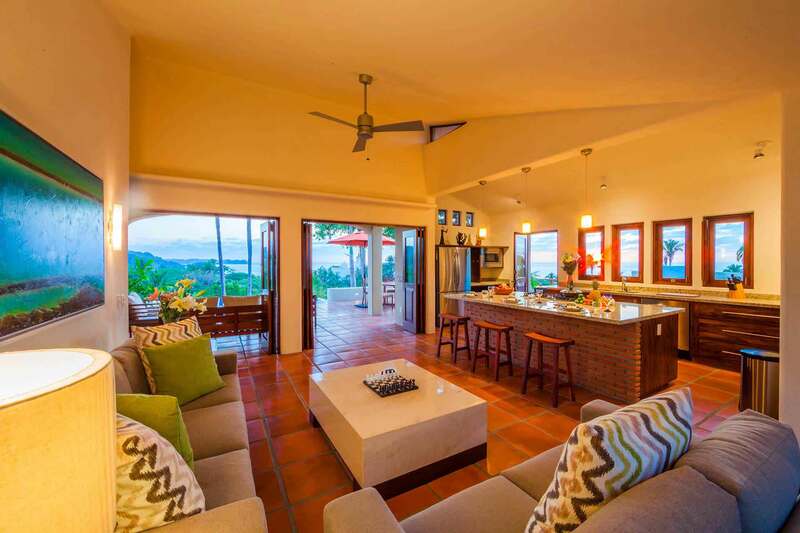 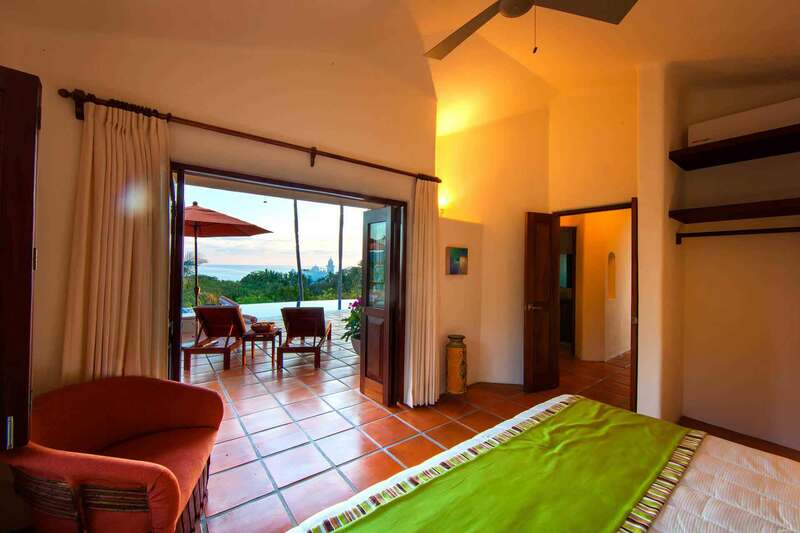 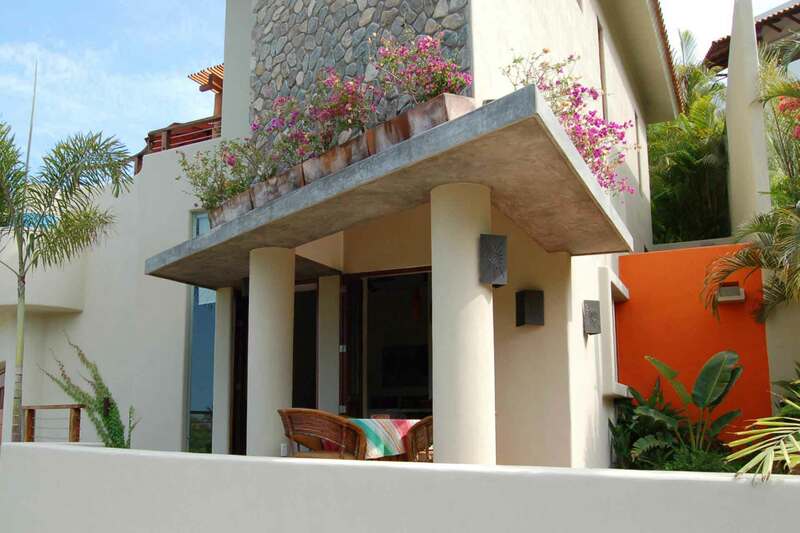 Casa las Piedras & Casita sits nestled on a hill, hidden in the private, residential area of Costa Azul with expansive views of the Pacific Ocean including the surrounding mountain points of San Francisco and Sayulita. 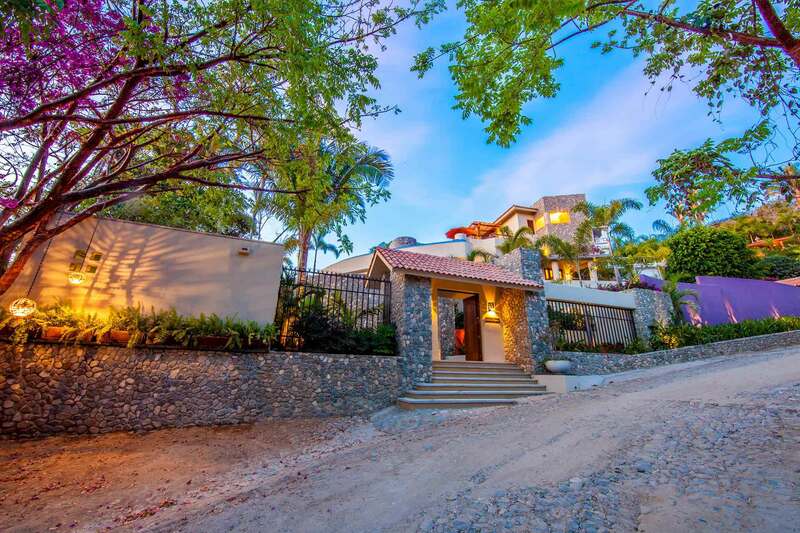  The most unique aspect of this villa is its tranquil, secluded location, which is only a 5 minute walk to the pristine San Francisco (San Pancho) beach, and a 10 minute walk to the colorful village where one will find an assortment of restaurants, gift shops and mini grocery stores. 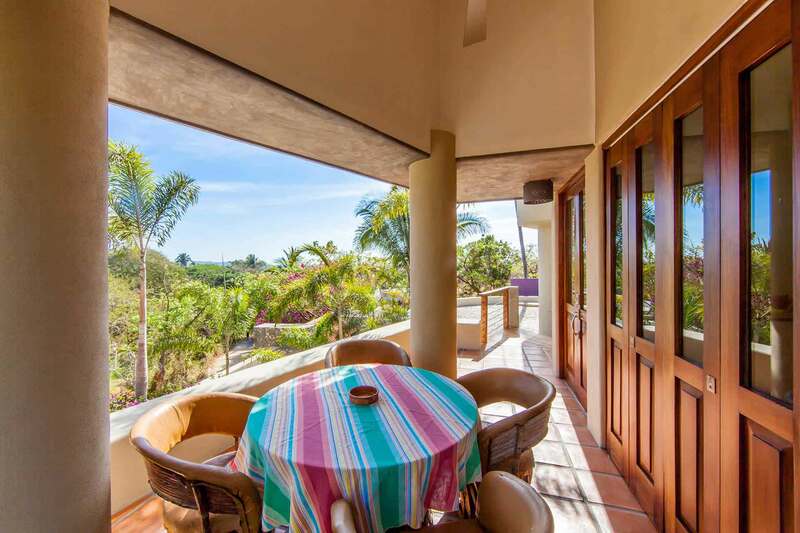 From the parking level of Casa las Piedras multiple steps lead to the ocean view pool terrace along with the main 2 bedroom/2 bathroom house. 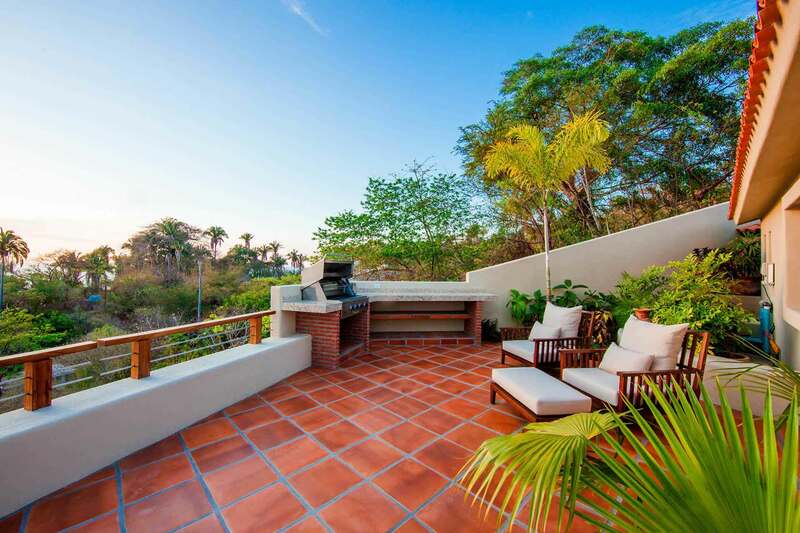 This terrace level encompasses a full kitchen with breakfast bar, outdoor dining patio, living room, den, guest bedroom and master bedroom. 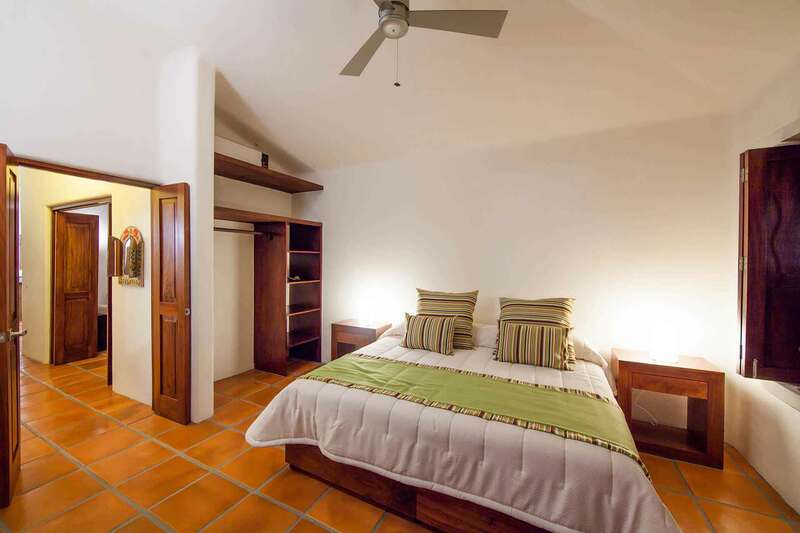 The 3rd bedroom is part of a separate and private casita which is located on the parking level. 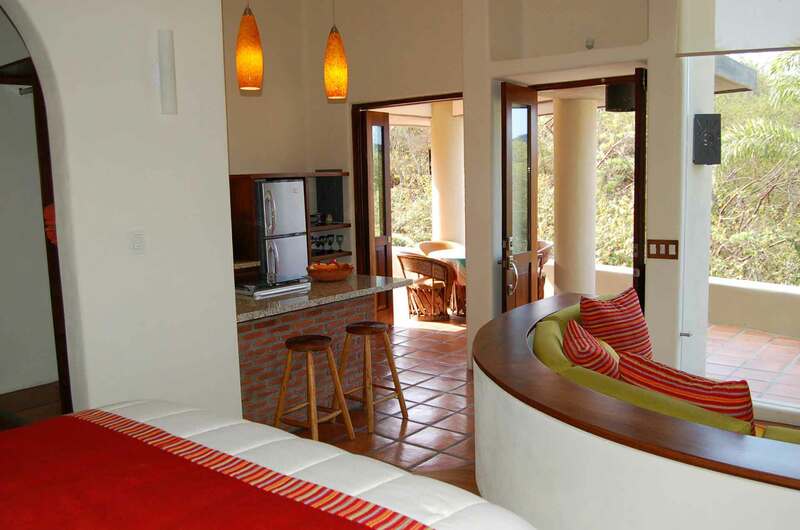 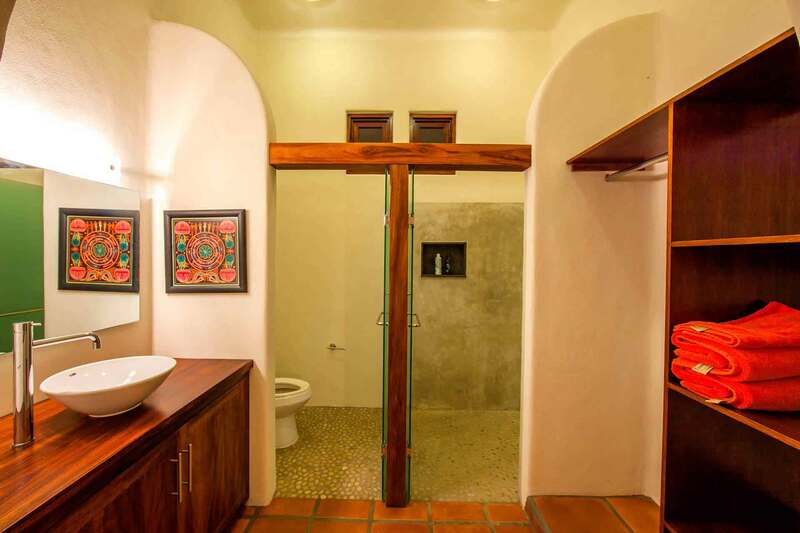 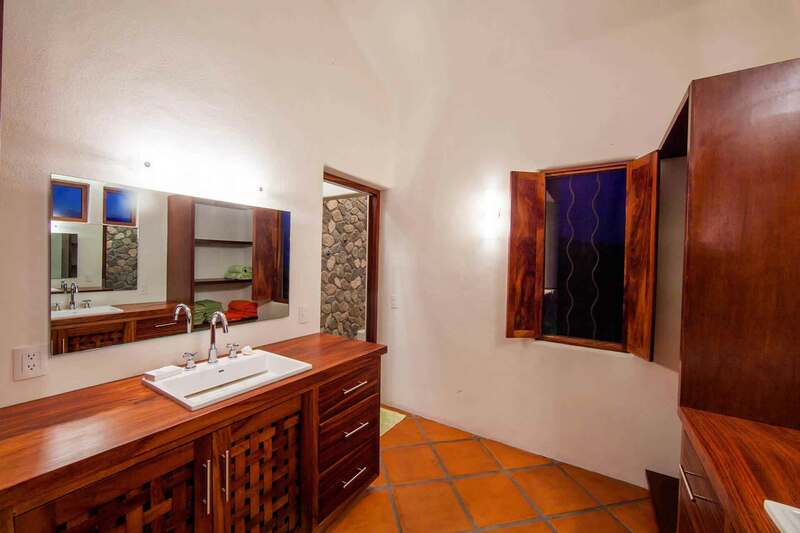 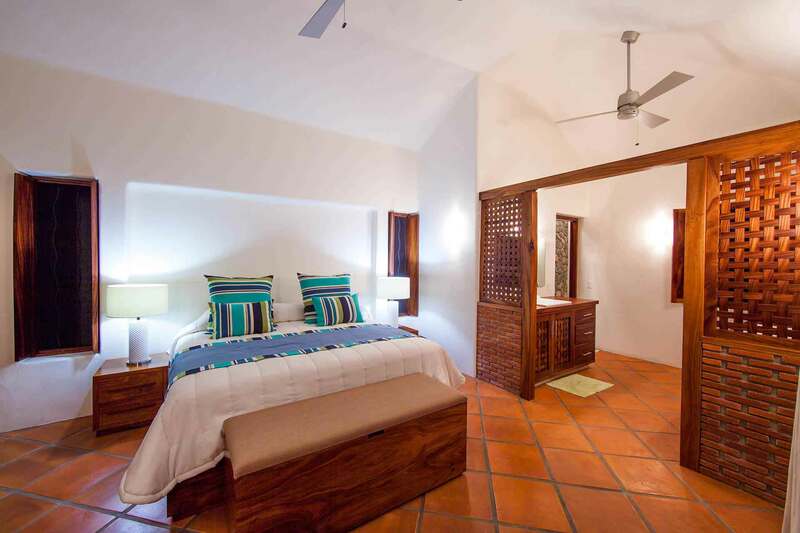 This casita is equipped with a kitchenette, queen bed, full bathroom and outdoor garden dining. 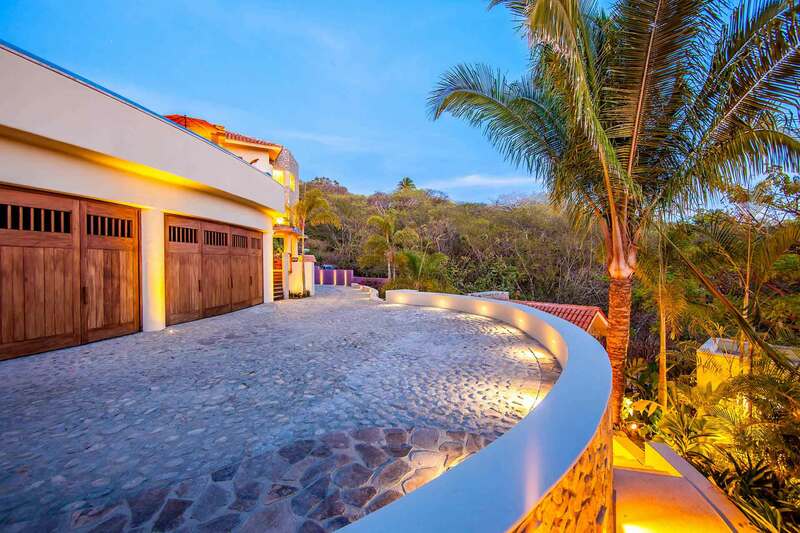 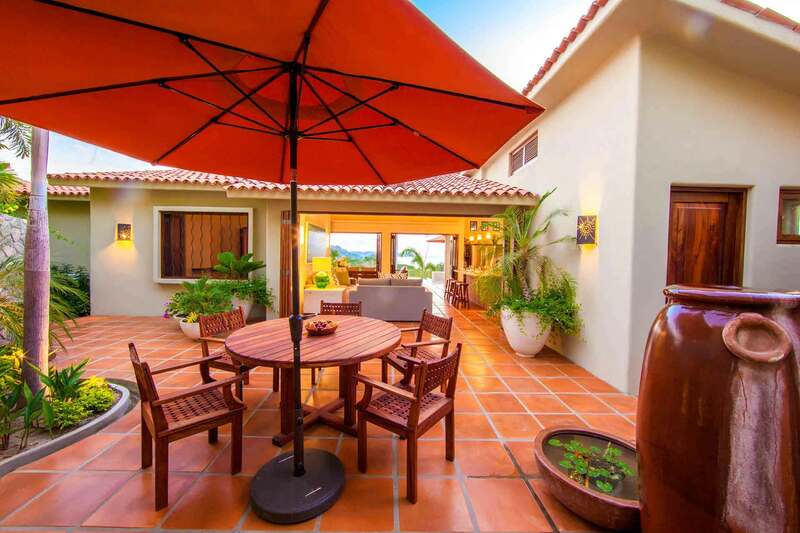 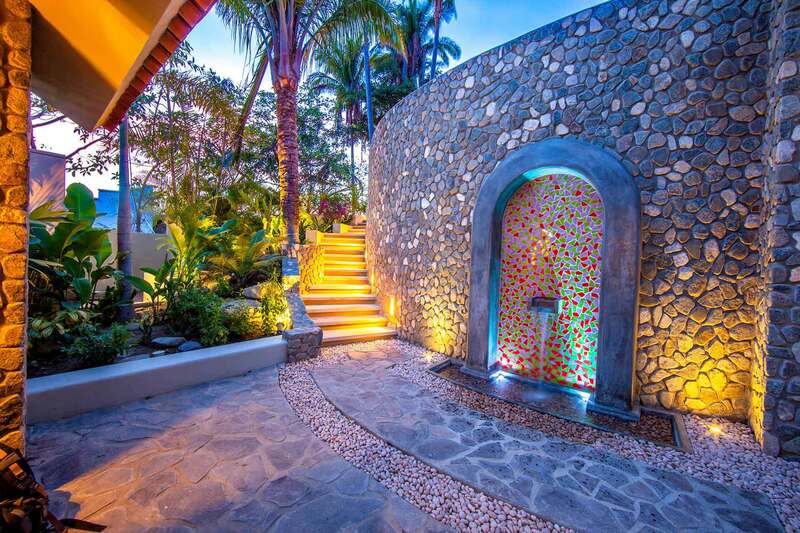 Casa las Piedras hosts custom wood, extensive rockwork, multiple outdoor living/dining terraces and lush landscaping that encircles the entire property. 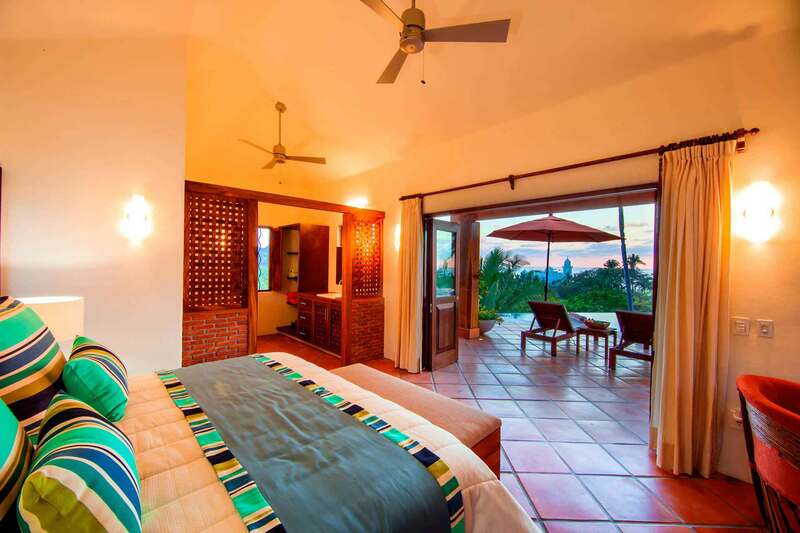 The en-suite king bedroom opens onto the ocean view pool terrace. 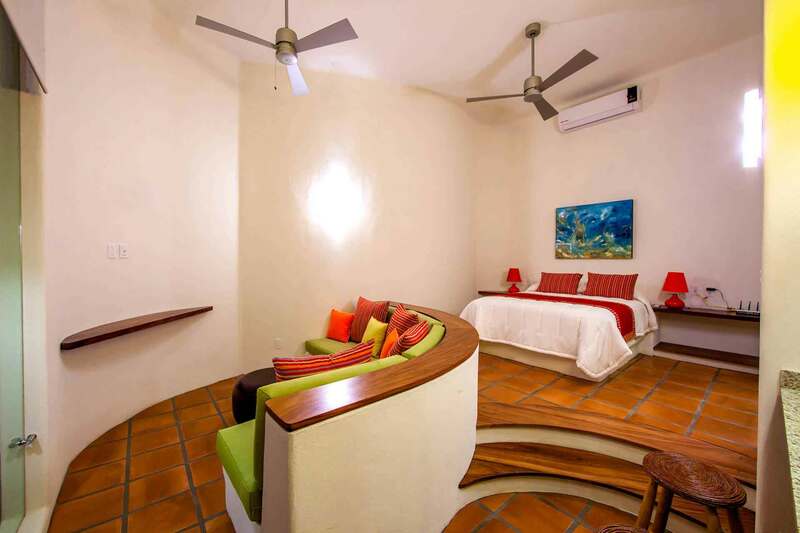 The guest bedroom includes two twin size beds that can be easily made into a king; perfect for a couple or a family. 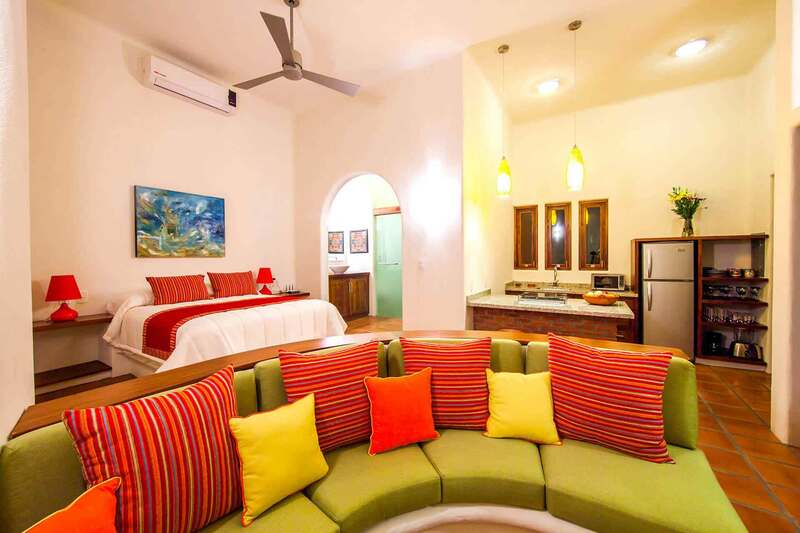 The enclosed den is equipped with a flat screen TV/DVD and pullout queen bed. 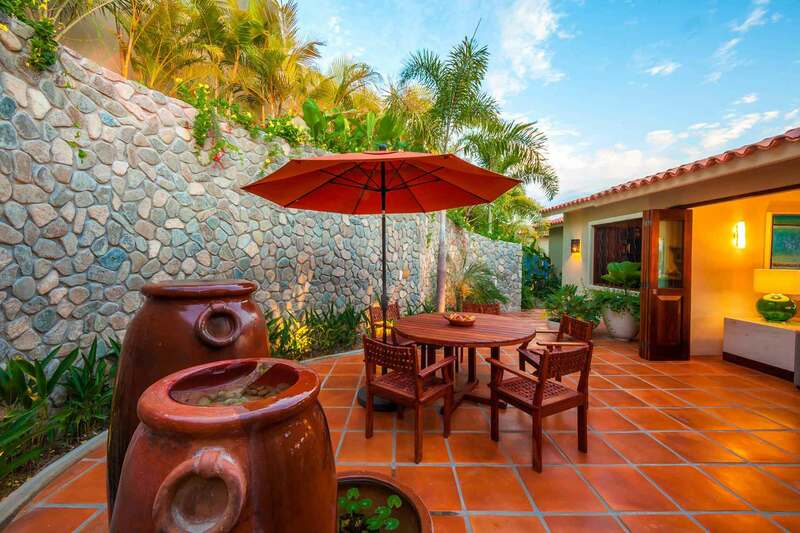 The outdoor pool terrace fronting the casa with comfy pool lounges and BBQ provides the perfect place for all to enjoy meals, lounge in the sun and/or watch the famous San Pancho sunsets! 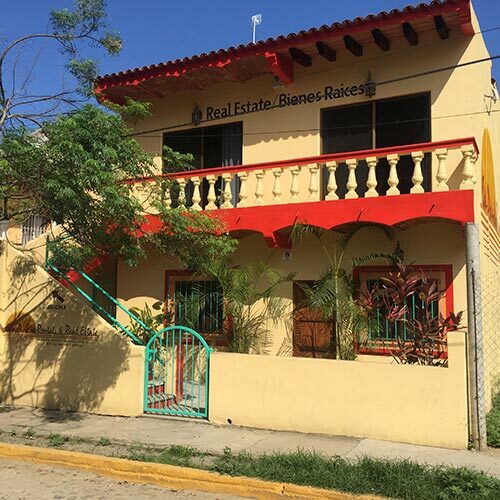 This property consists of two individual units. 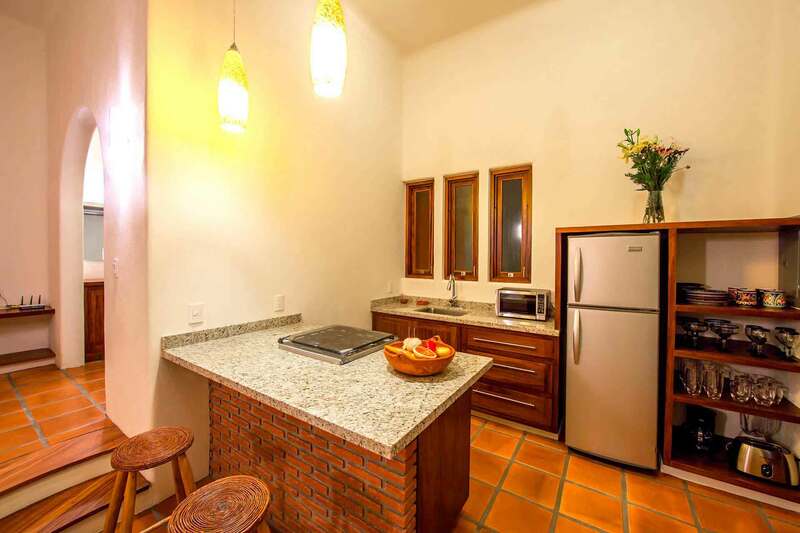 Each unit can also be rented separately. 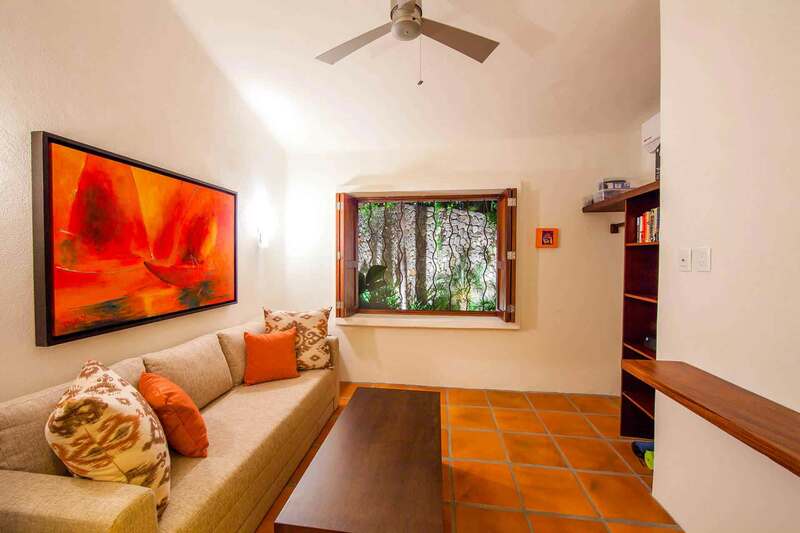 Click to view the one-bedroom casita, Casita las Piedras or the two-bedroom main house, Casa las Piedras.